The Aga Khan returned Tuesday to Ottawa to unveil the new headquarters of an international organization that is positioning itself as an antidote of sorts to growing strains of populism and intolerance around the world. But if you thought for one minute that the wealthy philanthropist, who is hereditary spiritual leader to the world's 15 million Ismaili Muslims, would talk about that helicopter ride he gave to Justin Trudeau over the Christmas holidays, forget it. The 80-year-old Aga Khan kept the focus on the opening of the new home for the Global Centre for Pluralism — part think tank, part advocacy group — in a renovated piece of prime Ottawa real estate on Sussex Drive. John McNee, secretary general of the centre, is well aware of the controversy that has dominated Parliament Hill in recent months: the prime minister's ride on the Aga Khan's private helicopter ride to visit his private island in the Bahamas. "That's not a matter for the Global Centre for Pluralism," McNee said in an interview. "He's hugely supportive of it. 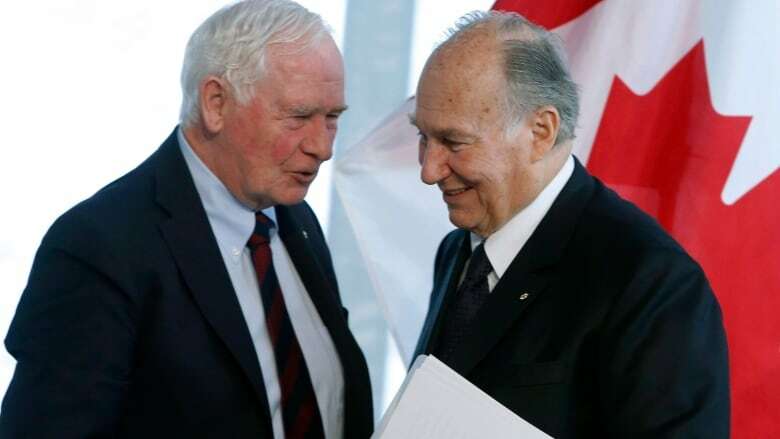 He's always thought the Aga Khan was one of the leading voices in the world for the promotion of peace and pluralism," said Rachel Curran, who served as Harper's policy director. "This (the helicopter controversy) reflects more on Prime Minister Trudeau than it does on the Aga Khan," she added. "I don't think it will reflect on the work of the centre or the Aga Khan's work ... It's a distraction for sure." Trudeau, meanwhile, has said the Aga Khan is a longtime family friend, dating back to the early 1970s when his father, then-prime minister Pierre Trudeau, gave sanctuary to Ismaili Muslims fleeing the tyranny of Ugandan despot Idi Amin. Gov. Gen. David Johnston presided at Tuesday's ribbon cutting and was joined by his Rideau Hall predecessor Adrienne Clarkson and former UN secretary general Kofi Annan, both of whom are board members of the centre. That's just a taste of what's to come in the building, which used to house Canada's old war museum, said McNee. Former Progressive Conservative prime minister Joe Clark will chair the jury that hands out that award. Roland Paris, the University of Ottawa professor who was Trudeau's former foreign policy adviser, said organizations like the centre are necessary to "champion the values of diversity and inclusion, particularly at a time of growing parochialism and xenophobia in parts of the world." McNee said he wants to make the centre "a destination for dialogue," to raise awareness. "Are we going to convince the National Front in France? No, but can we influence the influencers, the people who comment, the people who write? We hope so."